Leaders have begun introspection at an informal level, posing uncomfortable questions to the leadership. 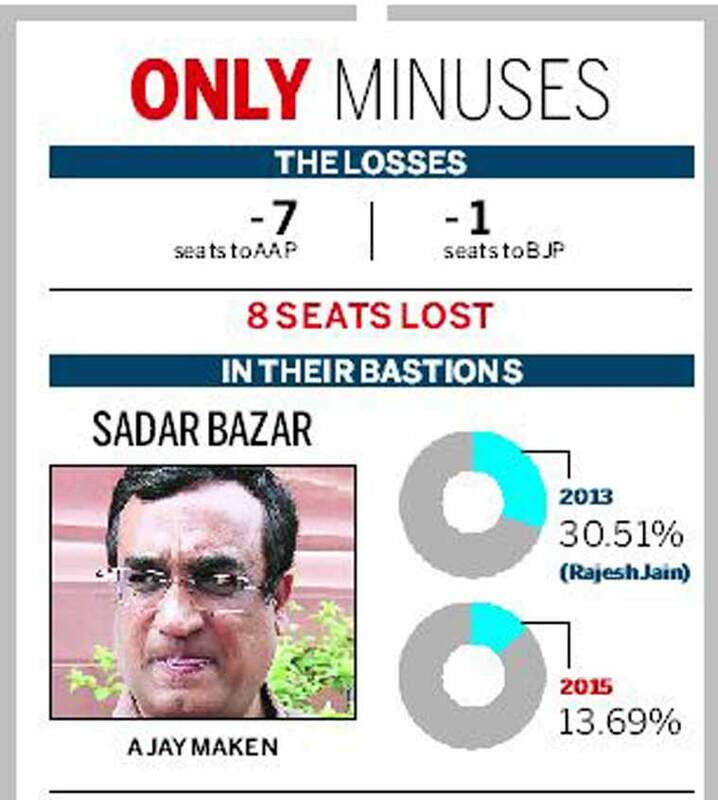 Knives were out in the Congress after the party was swept away by the AAP in Delhi. The attack was largely on Ajay Maken and the campaign managers, with leaders saying Sheila Dikshit should have been more actively involved. The only consolation for the Congress is the near wipeout of the BJP which it hopes will have a national implication. Leaders have begun introspection at an informal level, posing uncomfortable questions to the leadership. “The reason why the Congress vote shifted to the AAP is because the Congress campaign managers decided to walk away from the 15 years of development that had changed Delhi. 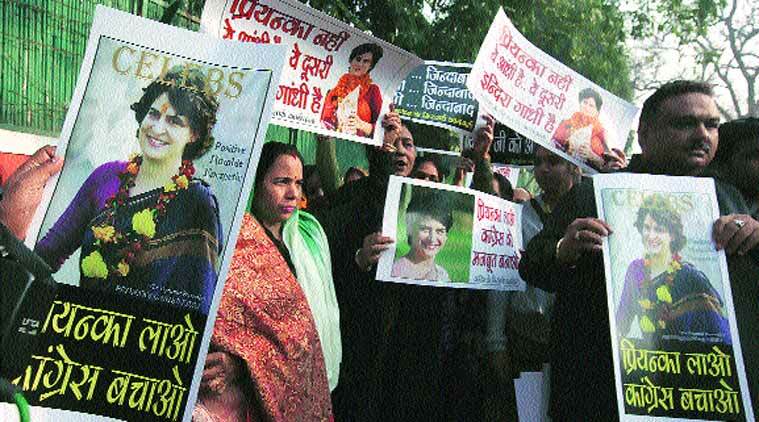 This left the Congress with no poll plank worth its name,” senior Congress leader Manish Tewari said. Ajay Maken, who headed the campaign committee, has been one of the strongest detractors of Sheila Dikshit, CM for 15 years. Anil Shastri, a special invitee to the CWC, was more direct. “Dikshit should have been roped in for extensive campaigning. It would not have made a big difference but she is a popular face,” he told The Indian Express. “I believe we could have used senior leaders in a much more proactive campaigning. We also needed to have our slogans right… I think the AAP campaign was way ahead and more effective than ours,” former UPA minister Ashwani Kumar said. He too said Dikshit and other seniors should have been more actively involved. Shastri said “it was a very positive vote in favour of Kejriwal and his team which was perceived as a young and honest team… not just monetarily, but intellectually honest. People thought they will deliver… It was a tsunami”. As far as the Congress is concerned, Shastri added, “People want change… Rahul Gandhi sincerely wants to improve the prospects of the party. He is committed to the people. But his plans are not translating into action. His plans are not being sincerely implemented by the office-bearers… Rahul should replace the present team with a team of new faces. Not necessarily young, but new faces. The present set of leaders have been there for long. There is a fatigue factor.” He, however, was clear that the “new look should be under the same leadership”. The Congress’s campaign managers, Ajay Maken and P C Chacko, on Tuesday offered to resign as the party’s general secretary and Delhi in-charge respectively, owning moral responsibility for the defeat. “I am sorry for the disappointing performance of the party. I could not gauge the mood of the people. I am ready for any sacrifice to rebuild the party even without any post under your leadership. I offer my resignation with humility to make way for any change which the party feels necessary,” Chacko wrote to Sonia Gandhi. 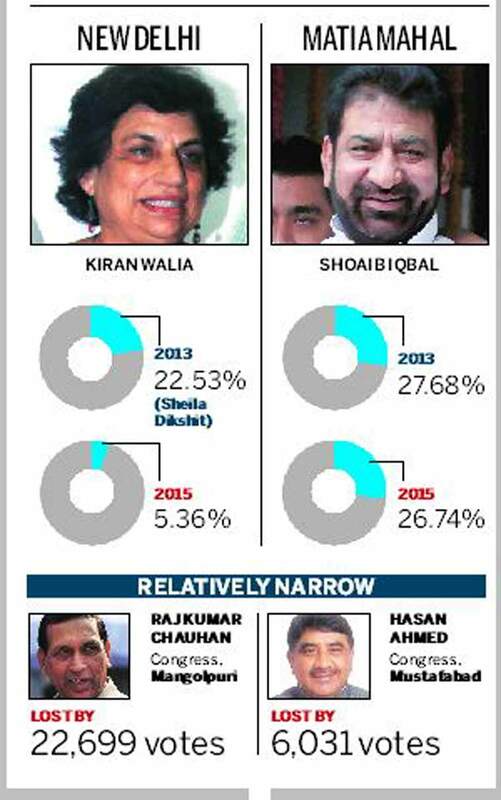 Many in the Congress did expect a rout, but never that it would draw a blank after having ruled Delhi for 15 years on the trot. “The Congress party accepts the will of the people with humility and will sincerely introspect the reasons behind its loss,” a Congress statement said. Both Rahul Gandhi and Sonia Gandhi congratulated Arvind Kerjiwal. “The people of Delhi have chosen the Aam Aadmi Party and we respect that. I wish Kejriwal and his team the very best,” Rahul said.